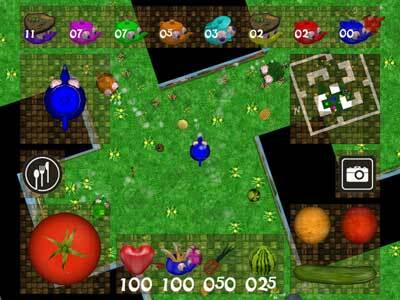 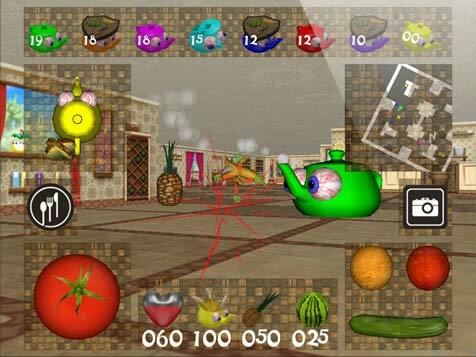 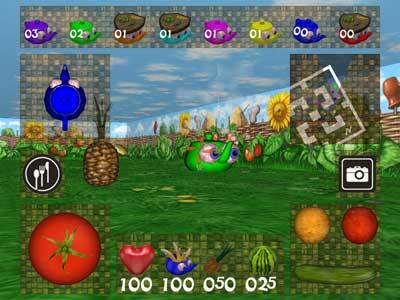 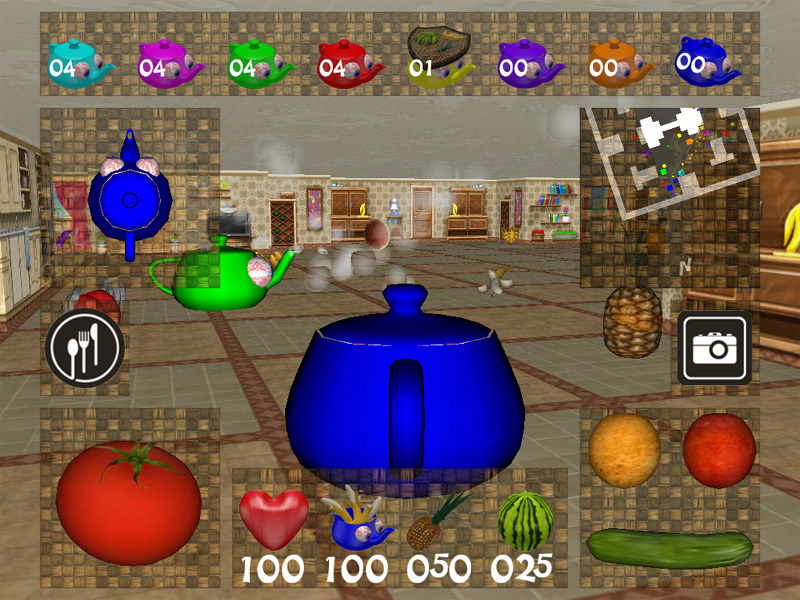 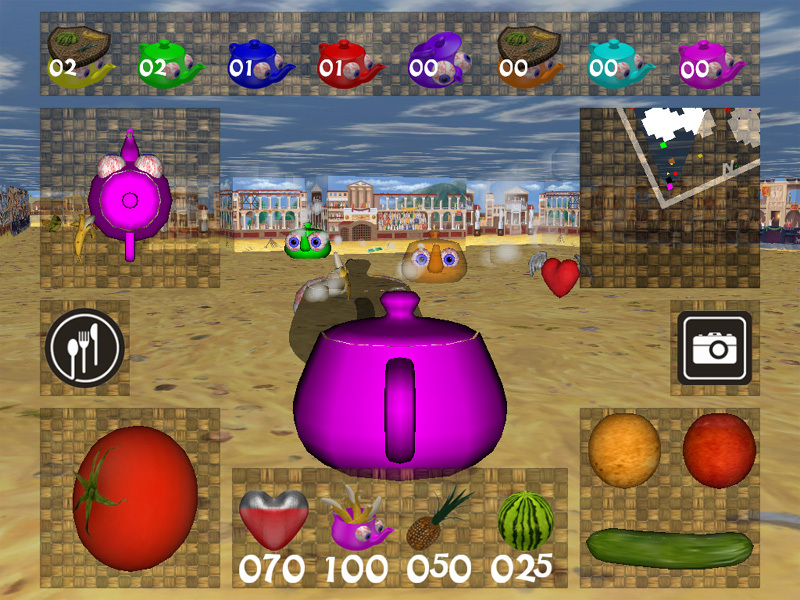 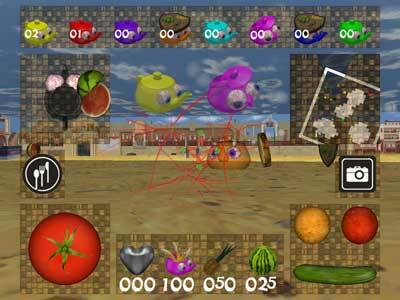 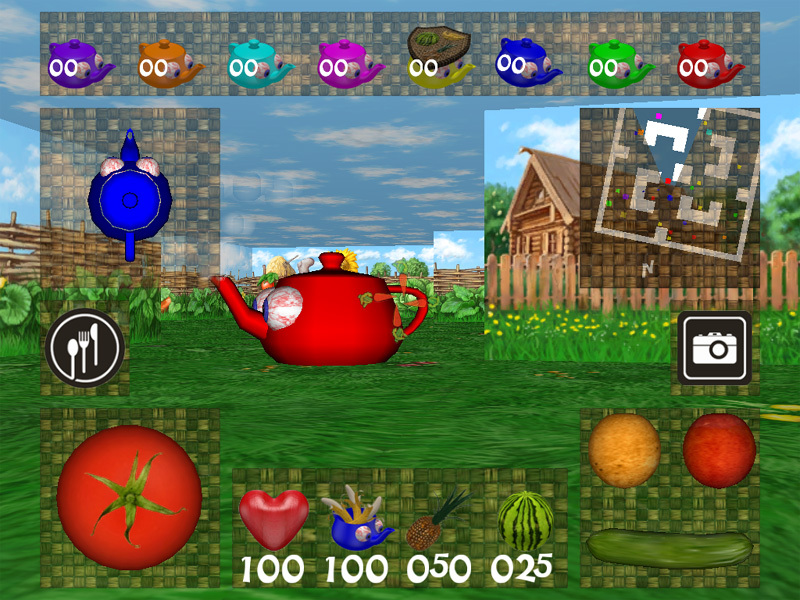 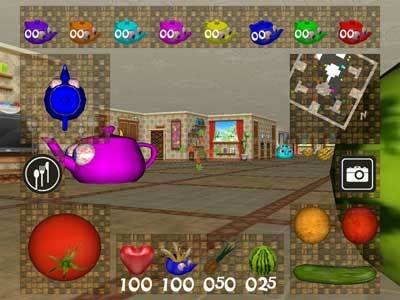 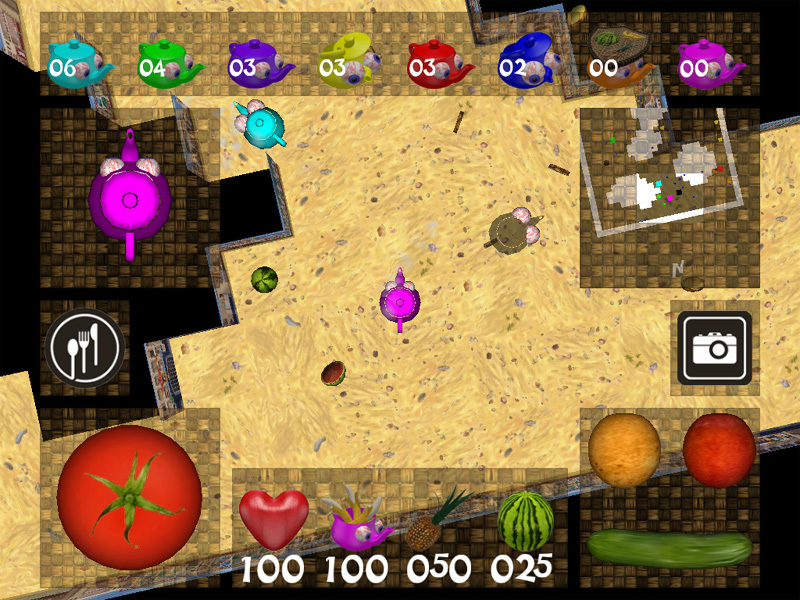 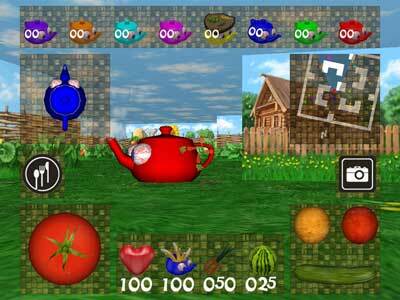 Crazy Teapots is an entertaining 3D Deathmatch Game where players are teapots and missiles are fruits. 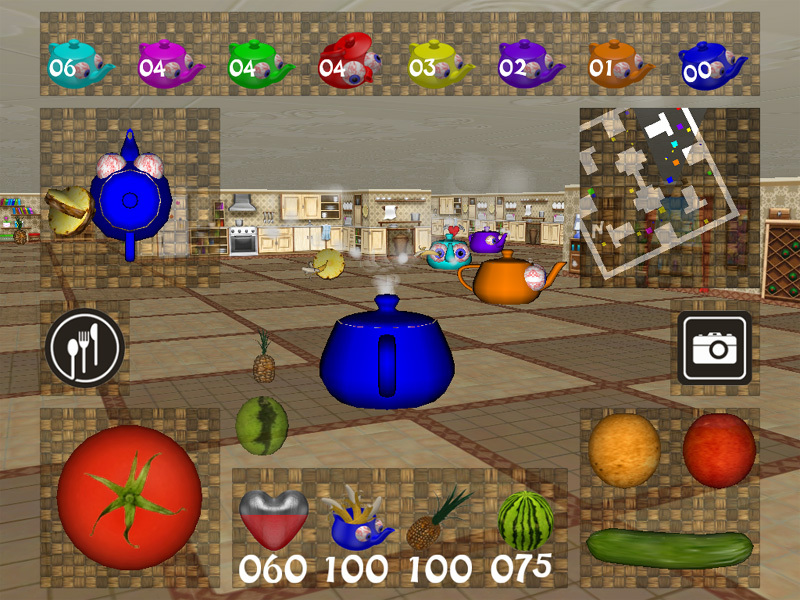 Universal application for iPod Touch/iPhone/iPad devices. 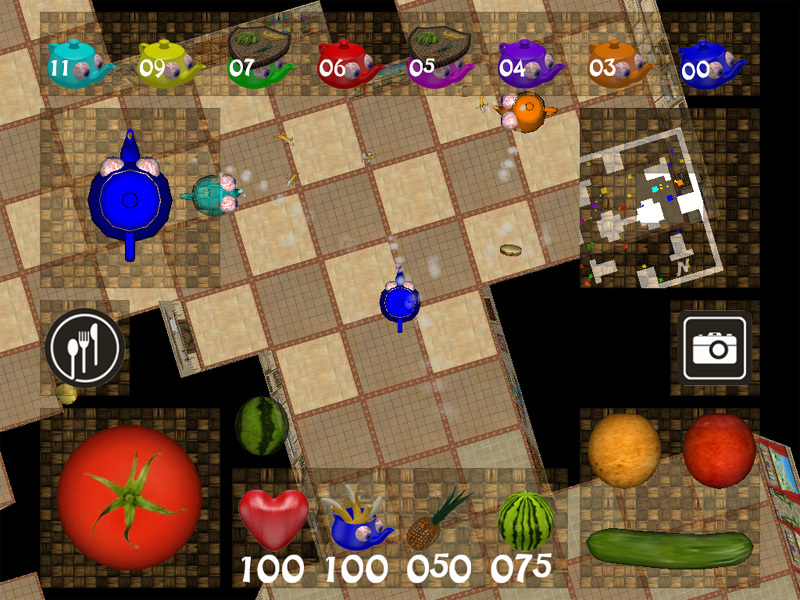 Game interface translated to all languages currently supported by iOS devices. 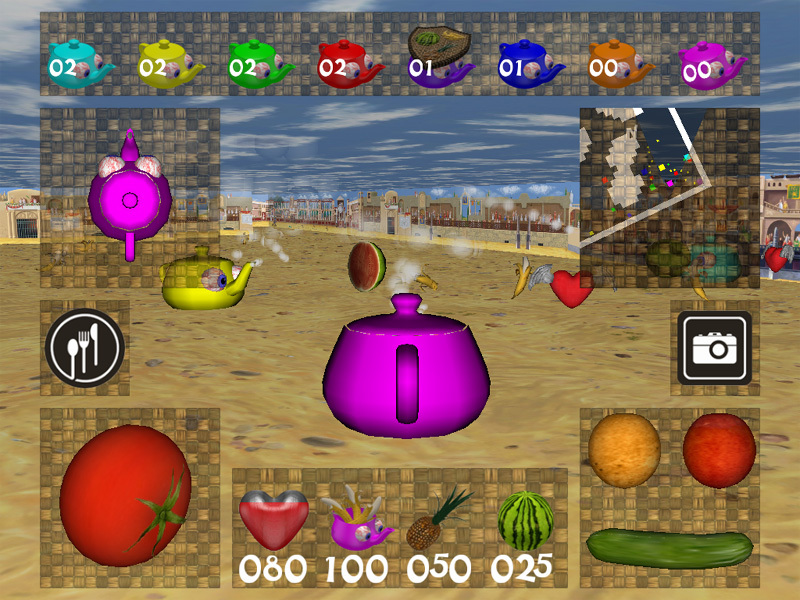 Native support for Retina display. 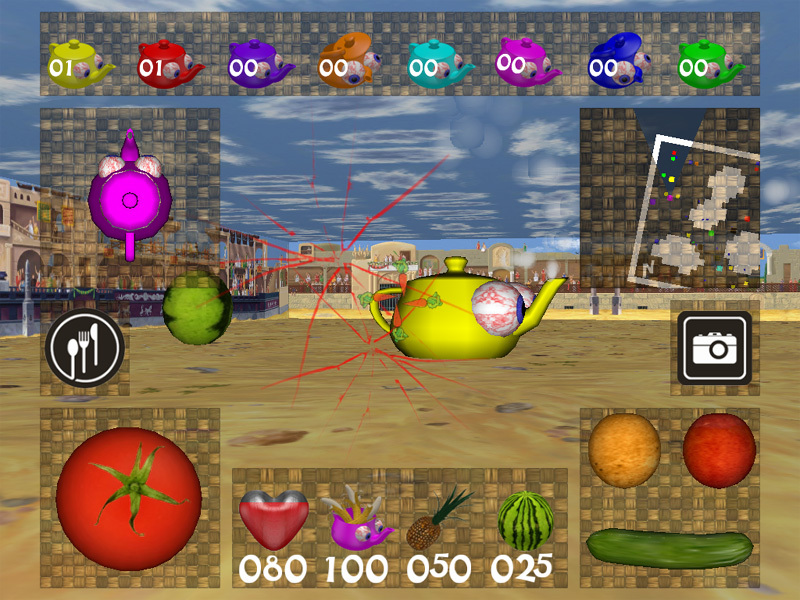 Three virtual camera modes: first-person perspective and two third-person tracking perspectives (behind and above). 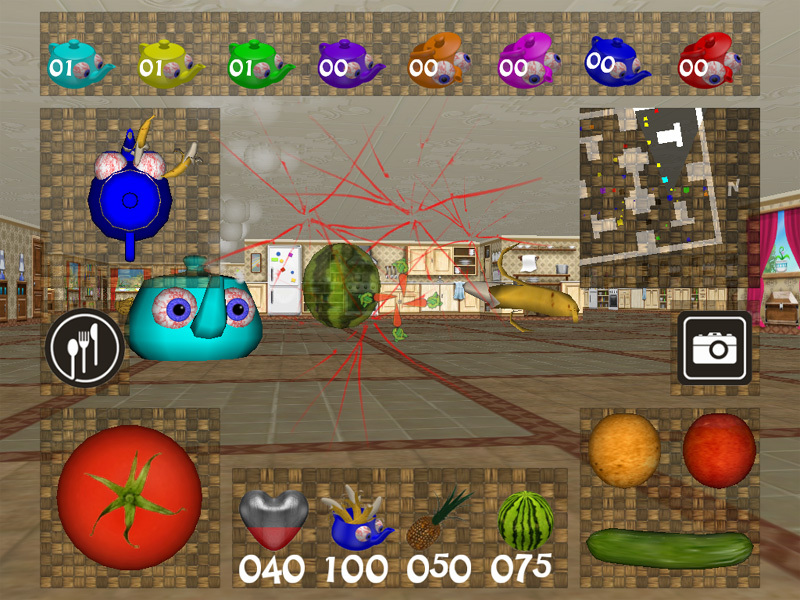 Three kinds of missiles, each with their own features. 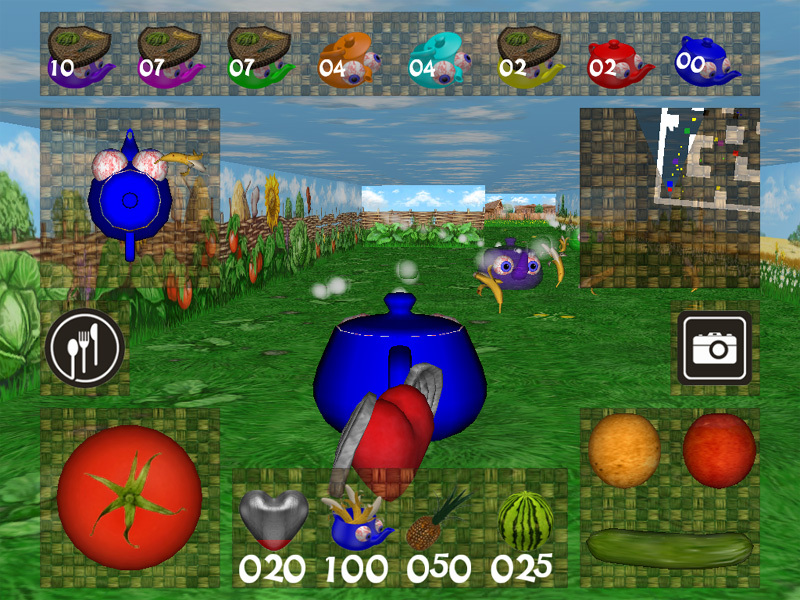 Players appearances reflect their health state in the game. Network game play with friends via Bluetooth, over Wi-Fi or Online. Voice chat option in network games. 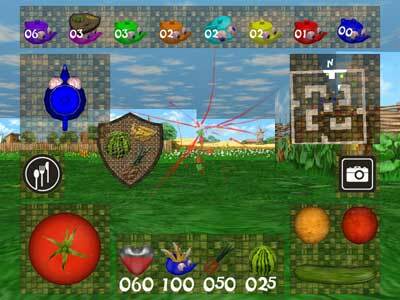 Several maps to play on, each with their own design. Adjustable game parameters (incl. 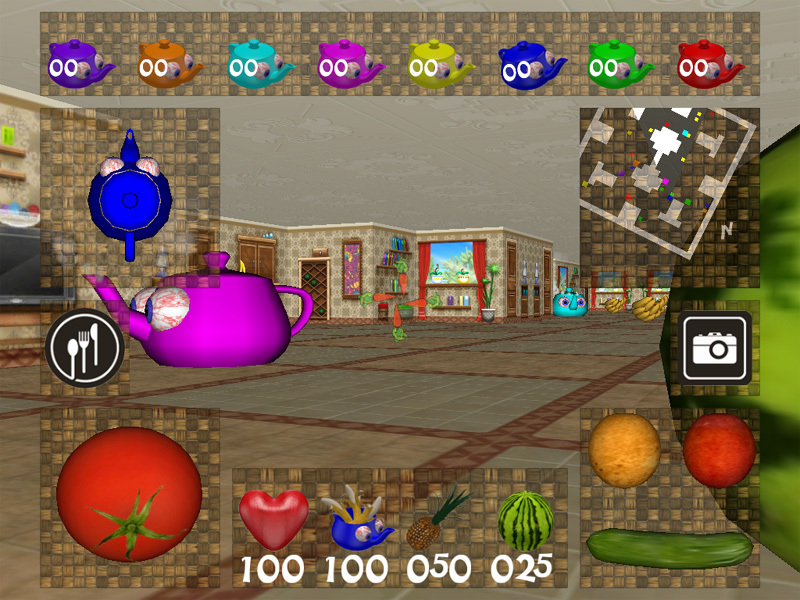 an option to choose your player's color).